We know much about Jews, and lots about Abraham Lincoln, but about their intersection and complex connections, little has been known or written about. On April 15, 1865, nearly 150 years ago, “father Abraham,” U.S. President Abraham Lincoln, a 19th century avatar succumbed to an assassins bullet. Good Friday and Passover coincided, just as in 2015, when Lincoln passed away. Over the past century and a half, about 15,000 volumes have been published about Lincoln, second only to books about Jesus, but none have come close to capturing Lincoln’s relationships with the American Jewish community, until now. 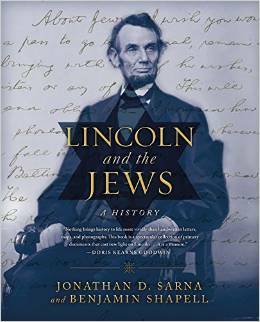 Using the collection of letters, manuscripts and items from Benjamin Shapell’s Lincoln Collection, Brandeis Professor Jonathan D. Sarna has created a deep, captivating history of Lincoln and the Jews (or Hebrews) who were his friends. The book opens with a graphic representation of the connections between Lincoln and his 120 Jewish connections. The complementary exhibit at the New York Historical Society also opens with this same “N’th degrees of separation” wheel on a large wall. If your surname is “Jonas” or if you are the child of Dr. Issachar Zacharie of New York and London, you will definitely want to purchase this book and learn about your history. But seriously, each page is a treasure for anyone interested in Lincoln and U.S. history. In 1809, when Lincoln was born, there were perhaps 3,000 people who identified as Jews who were living in the United States, By 1865, the number had grown to 150,000, especially after the exodus of Jews from Bavaria and Germany in 1848. During the mid nineteenth century, Jews were treated (or mistreated) as outsiders in the United States. Like the gawky, tall Lincoln they felt alienated, like strangers in this new world. Lincoln’s Vice President (Johnson), and many cabinet members, senators, and generals openly disliked Jews and discriminated against them. (Page 120 lists the generals who were quite anti-Semitic: Grant, Sherman, McClelland, and Butler, and lists the documents to back up the accusations and Lincoln’s letters that had to rescind their policies or actions) Yet Lincoln was different from other Americans. Lincoln had Jewish friends in his youth and maintained and grew these friendships during his life. At the behest of NYC Dutch-born Rabbi Fischel and others, Lincoln found a way to allow a rabbi (Jacob Frankel of Philadelphia) to become a military chaplain by having a law inserted into a very popular congressional bill that increased the salary of army officers. Prior to this only Christian chaplains were permitted by law. Also, Lincoln quickly rescinded and crushed a General Order of General Grant that sought to expel all Jews from a Union liberated and controlled area; he accused them – as an entire group – of cotton smuggling. In celebrating the book’s launch in New York CIty, Temple Sinai of Los Angeles’ leader, Rabbi David Wolpe, said that Sarna & Shapell made a good team, like Sacco & Vanzetti, Leopold & Loeb, and Netanyahu & Obama. But I sense he was just jesting, as pulpit rabbis are wont to do. But this is no hagiography about Lincoln and the Jews. The authors point out that not every Jewish man supported Lincoln. Many resided in the South or had commercial interests that disagreed with Lincoln’s platform and the Republicans. And some that supported him found him odd. For example, Rabbi Isaac Mayer Wise of Cincinnati, who sought to hold the Union together (though was not antislavery), was repulsed by what he perceived to be Lincoln’s primitive manner, saying that “he will look queer in the white house”. Wise said that Lincoln looked like “Der Landjunker das erste Mal in der Stadt” (the country squire for the first time in the city). Nevertheless, a few weeks later, Rabbi Wise – like the Hebrews in the desert – was already complaining that no Israelite had yet been appointed to a federal position by Lincoln; but Lincoln was already preparing to appoint Abraham Jonas to a position of Post Master (Jonas then hired his own son as an Assistant Post Master, and Simon Cohen as his Book Keeper). In Baltimore, a city with about 7,000 Jews, Rabbi Bernard Illowy and the Cohen and Friedenwald families loathed the Republican Party and openly sympathized with Southern slaveholders. On the other hand, Baltimore Rabbi David Einhorn, a supporter of the 1848 European attempted liberal revolutions outspokenly detested slavery. The book is accompanied by a major exhibition: “To See Jerusalem Before I Die – Lincoln and The Jews” which debuts at the New York Historical Society on Manhattan’s Upper West Side on Friday, March 20, 2015. The exhibit runs through June 7. The exhibit will then move to the Abraham Lincoln Presidential Museum in Springfield, Illinois, and have other events in Boston, Washington, Chicago, Philadelphia, and Los Angeles. I was fortunate to attend the book’s launch and exhibition this week. It was a glorious evening, at which I spied several Jewish celebrities, including journalist Gary Rosenblatt, philanthropist Edith Everett, NYU Professor Lawrence Schiffman, and authors Rabbi Joseph and Devorah Telushkin, and to hear from David Sarna, Brandeis President Frederick Lawrence, L.A. Rabbi David Wolpe, and author and essayist Leon Wieseltier, formerly of The New Republic. To me, it was akin to a Nobel Prize event in Stockholm… plus they had kosher cake pops and mini cocktail franks at the reception. While a Jewish WNYC-NPR arts critic was lukewarm towards the exhibit, saying that it did not have enough colorful paintings, I found the Historical Society exhibit enlightening, and highly recommend it. The exhibit begins with a focus on Lincoln’s relationship with Abraham Jonas, a Jewish member of the Illinois State Legislature whom Lincoln called “one of my most valued friends.” In 1860, Jonas sent Lincoln a letter that warned of an assassination plot. It is on view, along with letters to and from many other American Jews. Did you know that when a candidate was nominated, they mostly stayed at home and did not travel to campaign? 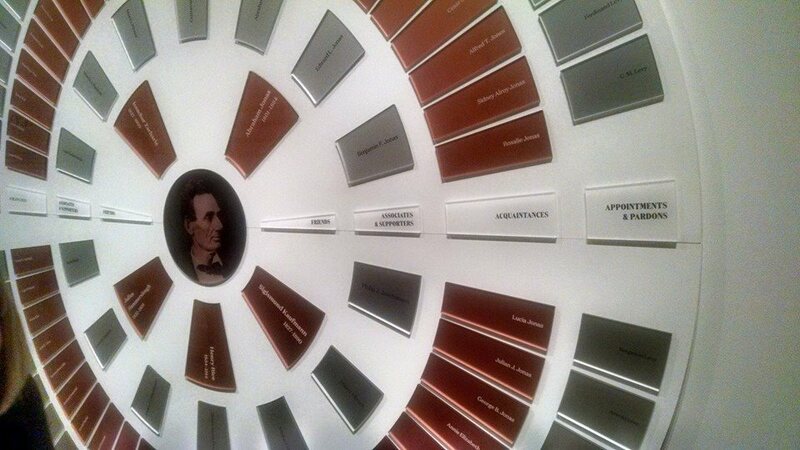 The exhibit shows how Lincoln stayed in Illinois, and campaigned through letters, telegrams, and visits. On view is a correspondence with Cassius Clay, his rival for the nomination who later was appointed U.S. 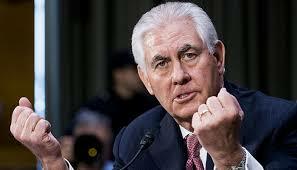 Ambassador to Russia (who knew that there was a Cassius Clay before Muhammad Ali? ; And what sort of parent names one son Cassius, and another Brutus?) The show has Lincoln’s paperwork on the appointment of the first ever non-Christian military chaplain (a Jewish one), as well as Lincoln’s countermanding of General Grant’s notorious General Order No. 11 that attempted to expel Jews “as a class.” Also on view are the dueling pistols presented to Edward S. Salomon, a Jewish Civil War hero. Salomon led the “Jewish Company” from Illinois and was commended for his battlefield exploits and bravery at the Battle of Gettysburg and other hallowed grounds. 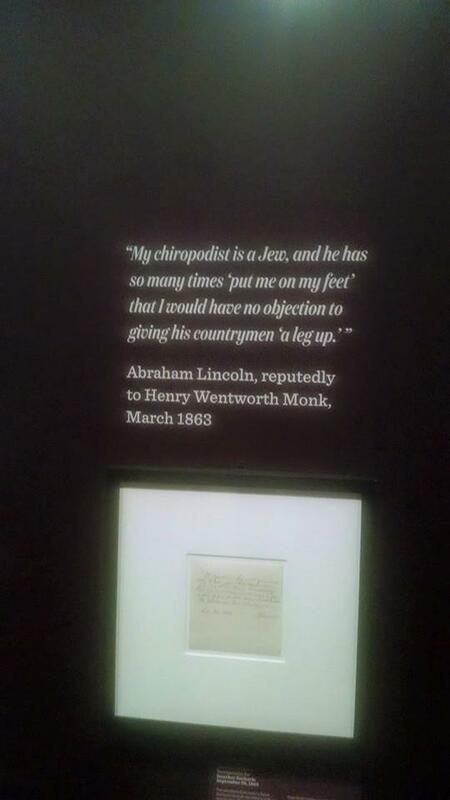 Some smiles are provided by the section about Lincoln’s Jewish “podiatrist.” Lincoln had his doctor go one several secret missions, one of which was to New Orleans to win over the sentiments of other Israelites, and to use Jewish peddlers to get the mood of the nation. Also on view is an 1865 letter from Lincoln to his Secretary of War Edwin Stanton that bluntly says that Dr. Zacharie must be granted passage to New Orleans. He also ordered a hearing for a Jewish provost marshall who had been dismissed, most likely a victim of vile War Department anti-Semitism. As Leon Wieseltier noted about the book and exhibit, it shows that Lincoln felt an affinity and not just a toleration of Jews. He was a Christian Universalist whose universalism exceeded his christianity. He was not a great man because he befriended Jews, but because he was a great man in his time, he befriended Jews. Next Story → Did Netanyahu Lie? Probably! But So what? Israelis Want to Know: What are American Jews Like? Yet another reason for Lincoln to be my favorite U.S. President! AWESOME! @sfzionist @kweansmom Your status as a Jew is not dependent upon your political orientation. That’s what actual Judaism teaches us. @MoreyAAltman Yeah. I will also blacken a tuna can soon. Also, dafuq is with your nose? Copyright © 2004-2017 Jewlicious.com. All Rights Reserved.